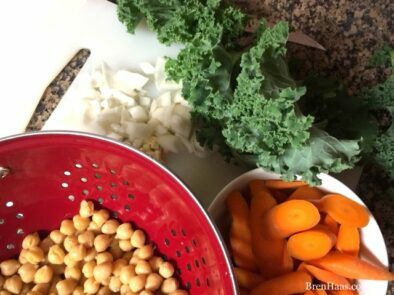 Onion, Kale, Chickpea, and garlic….. YUM!!!! Double YUM when you grow them in your spring garden. I’ve got kale coming out of my ears again this season. Kale, or leafy cabbage is that super food you can easily grow and enjoy pretty much year-round in my home. This evening I whipped up a new soup that is perfect most anytime of the year using the green kale I’ve grown in the raised bed this spring. 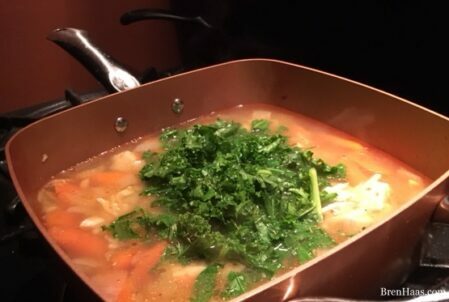 In this post I share some fun facts about kale and my Summer Chicken Veggie Soup Recipe. 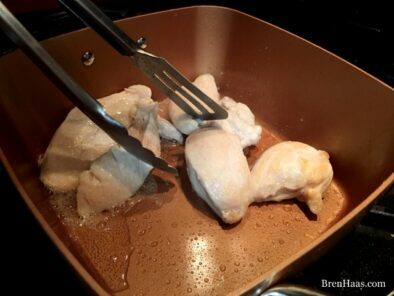 Heat your favorite large saucepan over medium-high heat. Add oil; swirl to coat. Carefully pour in stock and chickpeas bring to a boil. Chicken and fresh thyme added to pan at this time reduce heat, and cook 5 minutes. Stir in soy sauce; discard thyme sprigs and add a dash of salt to taste! This one is super yummy…. I think rubbing the olive oil and seasoning on the kale makes all the difference. 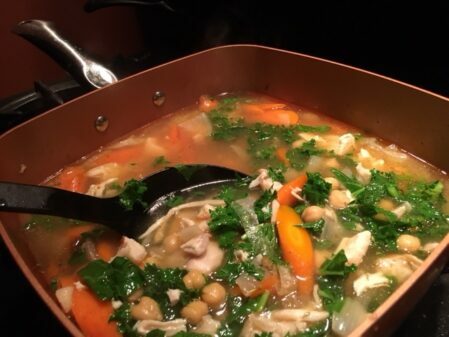 This chicken soup was cooked up in one of my favorite cookware. I used a Copper Chef deep square pan to cook up this soup. Check out my review featured below. 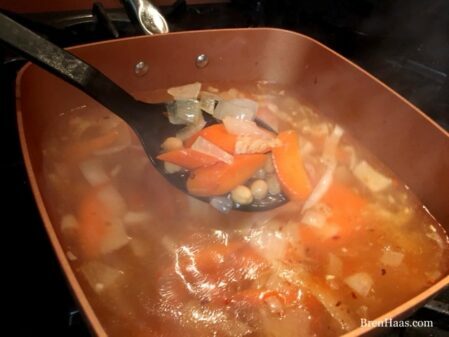 Summer Chicken Soup in the Copper Chef pan. Kale is really healthy even after it has been cooked. Kale has even been linked to preventing cancer because of its unusual concentration of two types of antioxidants, namely, carotenoids and flavonoids. KALE…. do you have it growing every where because it is super easy and great to add to your diet for its nutrients? I would love to hear from you … what do you do with all your kale? Please share by adding a comment on the bottom of this post especially if you tried this chicken soup recipe.